Stubborn stains need more than cleaners and chemicals. If you have spots that you just can’t clean, you need professional steam cleaning. Whether you need help steam cleaning a couch or a need for steam cleaning of carpets, Carpet Cleaning North Bay offers the very best in steam cleaning. ​Other carpet cleaning companies just use shampoo or harsh chemicals to cut through harsh stains. But Carpet Cleaning North Bay uses only safe, non-toxic carpet cleaner solutions and top-quality steaming equipment. 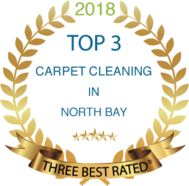 By using the newest and latest in steam carpet cleaning equipment, we are confident you’ll have the best quality carpet cleaning each time. We are your deep clean carpet cleaners. Cheap carpet cleaning rental machines won't scrub down to the carpet’s padding, leaving odors and stains to return even after you thought you cleaned them. But when you need deep carpet stain cleaning services, you need the best carpet cleaners in North Bay. You need us and we want your business. We offer more than just great quality rug and carpet cleaning. When you need the best in local steam cleaning, you can have the same great steaming process for your couch and sofas. Tough stains, no matter where they are, are no match for us. We steam clean your carpets deep down to take care of stains better than anyone else. Steaming stained carpets is the preferred method of fighting stains. Harsh chemicals only mask the odor and may even discolor your carpets, rugs, or furniture. But with the best steam cleaning in North Bay, your fabrics and carpets are safe with a minimal chemical treatment and hot steam. We use only the finest steaming equipment. This safely loosens stains clinging to carpet fibers and fabrics, allowing us to easily extract the stain-causing problems. Your carpets will look brand new again after a steam carpet cleaning job from our experts. When you have your carpets steamed, its keeping them your little ones and pets safe when they crawl over it later. Other carpet cleaning companies douse your carpet stains with chemicals that could make them sick. But we use a mild cleaner that guts vacuumed away with the steaming device. When you have us steam clean your carpets, you know you’re getting a quality job that will keep your family safe. When you need the best in North Bay carpet care, you need Carpet Cleaning North Bay. Discount carpet cleaning companies only mask smells and clean the top surface of your carpets and rugs. But we are your deep carpet cleaning company. We get your most stubborn stains steamed out each time you call us. 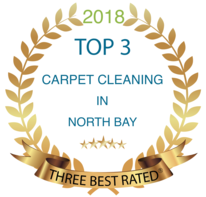 The best in North Bay carpet cleaners is Carpet Cleaning North Bay. We’re so proud to service our community, that we put it in our name. Call us today for a free estimate on steam cleaning your carpets, or for another of our other great carpet cleaning services!